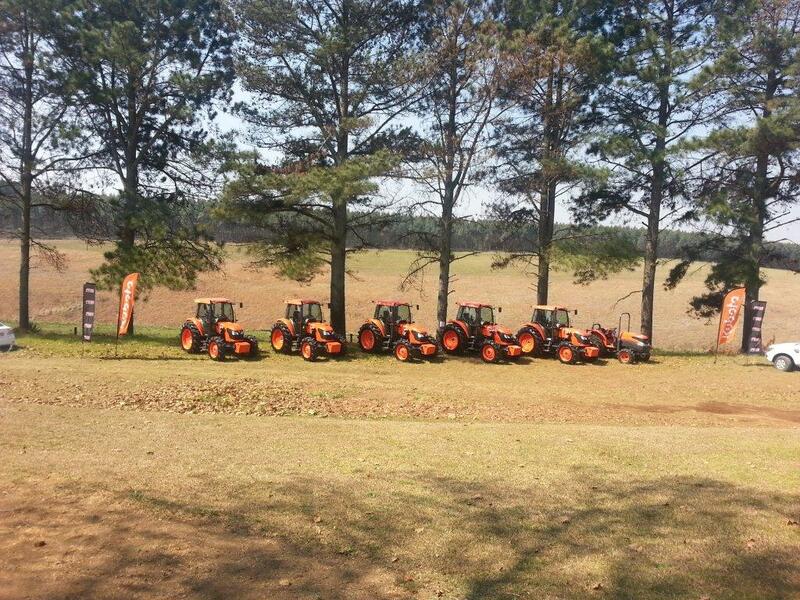 Steve Jobs said; “Great things in business are never accomplished alone, they are accomplished as a team.” Never truer a word could be said about the relationship between Kubota, one of the world’s leaders in tractors and other farming equipment, and global tyre giant Trelleborg. Joubert says that one of the reasons for Trelleborg’s success in the agricultural industry is its continuous investment in R&D in the sector. “We put a lot of effort into understanding the ongoing needs of farmers in terms of their tyres and we are, as a result, capable of making relevant products on a fit-for-purpose basis where necessary,” he says. 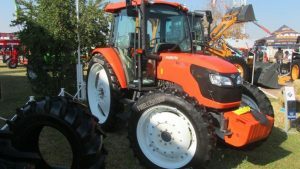 Good examples of this bespoke service are the wheel and tyre conversions that are done for tractor owners when they have specific requirements. 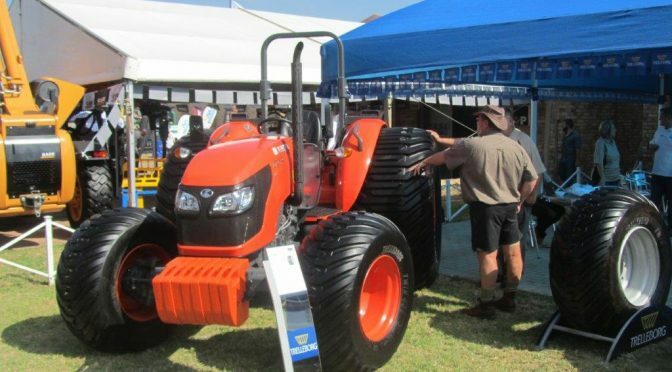 Some of these conversions were on show at the Trelleborg stand at NAMPO 2016 and included the conversion of the standard 480 X 85 X 38 tyres on a Kubota M9540 used on a golf course to wider 850 X 50 X 30.5 tyres and the conversion – also on a Kubota M9540 – from the standard to the narrower 230 X 90 X 48 tyres for a vegetable farmer with very narrow rows. Joubert explains that the adjustable rim for the wider tyres was imported from Sweden and the solid, narrower rim was made under his supervision here in South Africa. 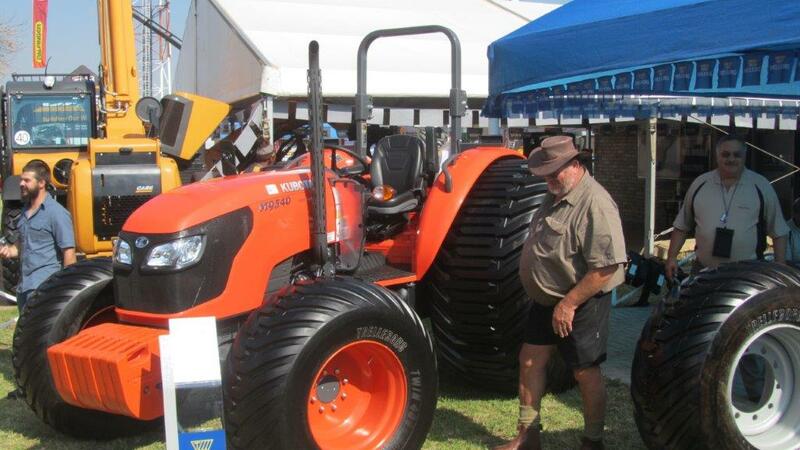 Kubota South Africa’s Tallie Giessing says that the working relationship between Trelleborg and Kubota has not only been a pleasure but it has also been very beneficial for Kubota customers. “The performance of the tyres is a crucial element in the overall efficiency of the tractor and Trelleborg’s ability to respond to different operational environments is an important factor in lowering the total cost of ownership of Kubota tractors,” says Giessing. With its recent acquisition of CGS and its Mitas brand, Trelleborg will almost double its sales in agricultural tyres, establishing itself as a global leader in the agricultural sector. “CGS’s engineered polymer solutions strengthen Trelleborg’s existing leading positions in several of the Group’s current business areas,” says Peter Nilsson, President and CEO of Trelleborg. “It is true that good partnerships make for excellent business and we have no doubt that our partnership with an even stronger Trelleborg will also become stronger to the benefit of our customers,” Giessing concluded. This article was featured in the FarmTech Sep Oct 2016. This article was featured in the Landbou Weekblad Sep 2016. This article was featured in the GraanSA – Sep 2016. This article was featured in the AgriSA – aug Sep 2016. This article was featured in the farmers-weekly-16-sep-2016. This article was featured in the cpha-august-2016. You can contact Tallie Giessing: tallie@smithpower.co.za or 011 284 2000. For more information please contact Smith Power Equipment on 011 284 2000.